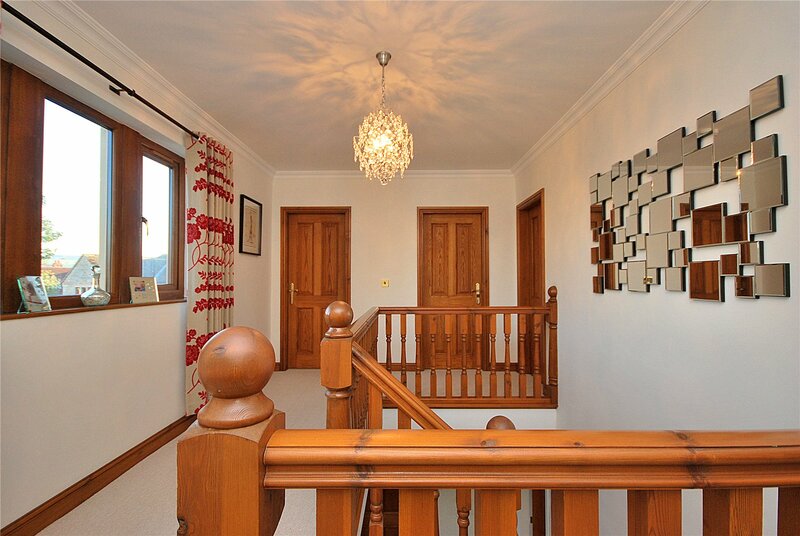 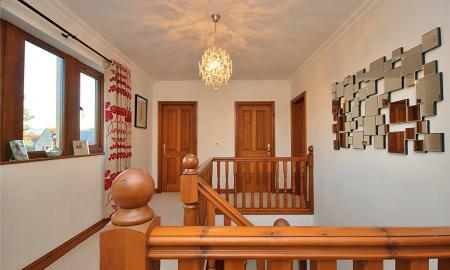 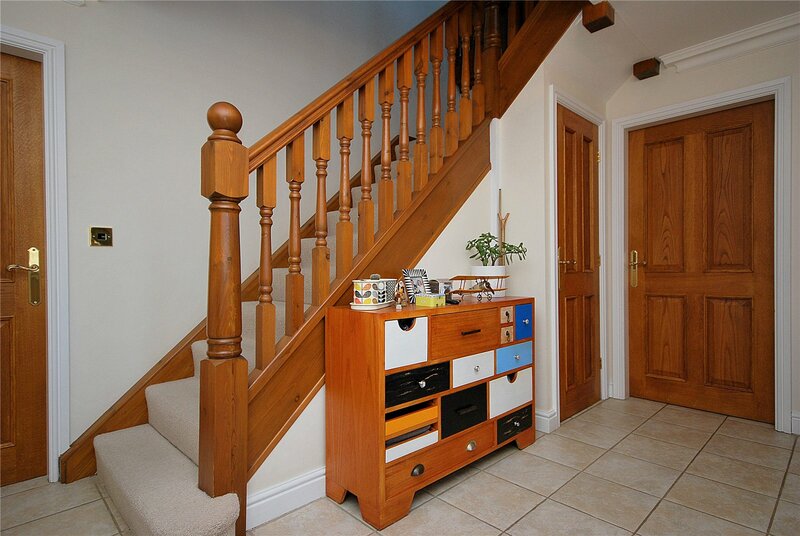 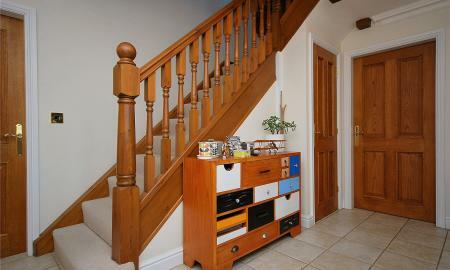 Spacious and bright entrance; a theme carried on throughout the property, with a spindled return staircase rising to the open galleried landing, under stairs cloakroom storage, under floor heating (which runs through the whole house). 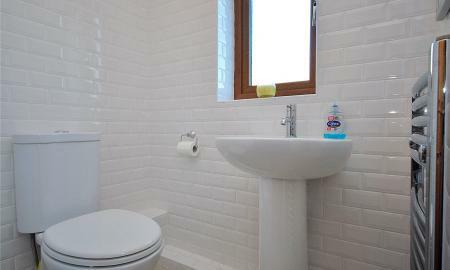 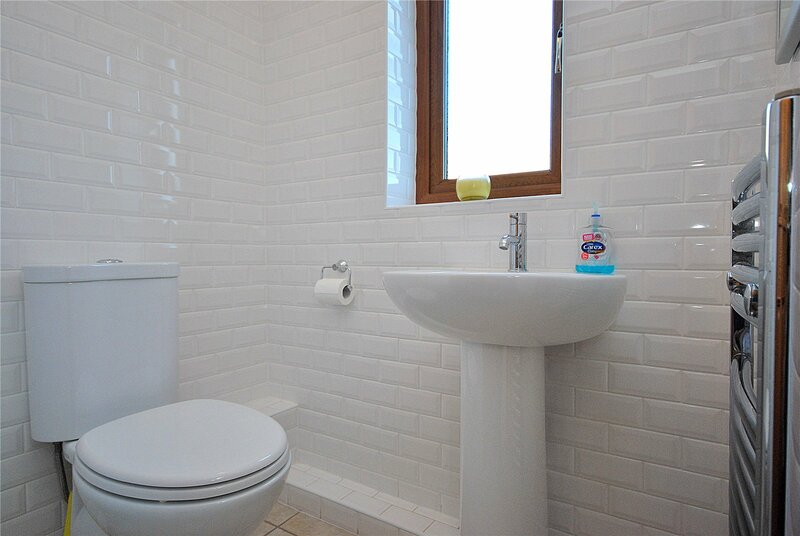 Metro style tiling to the walls, pedestal wash basin, low flush wc and front facing double glazed window. 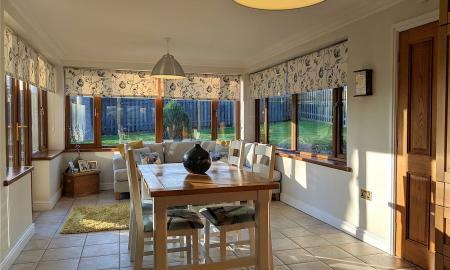 7.5m x 4.2m (24'6" x 13'8") With front facing double glazed bay window and rear facing French doors to the garden allowing plenty of natural light into this large reception room. 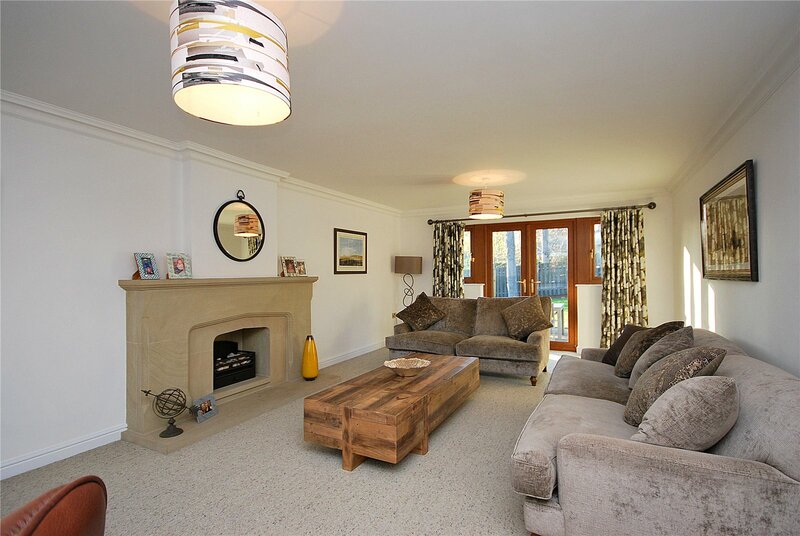 An impressive, solid Ashlar stone fireplace provides a traditional focal point. 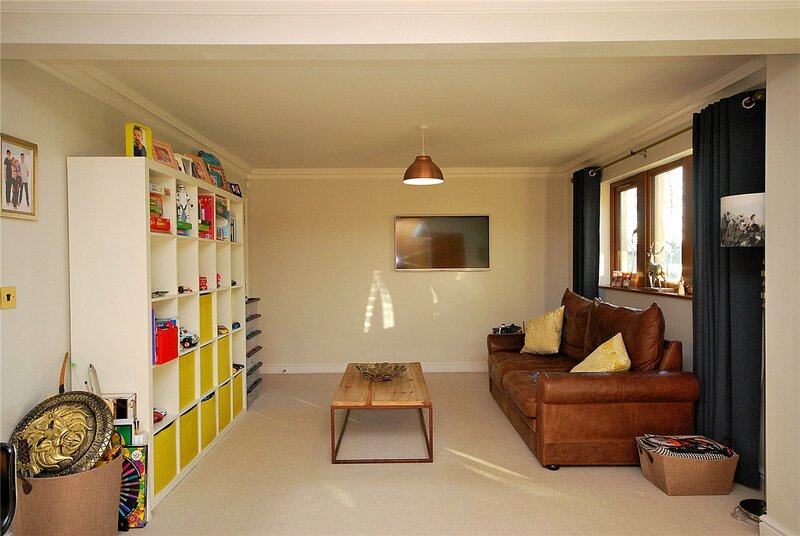 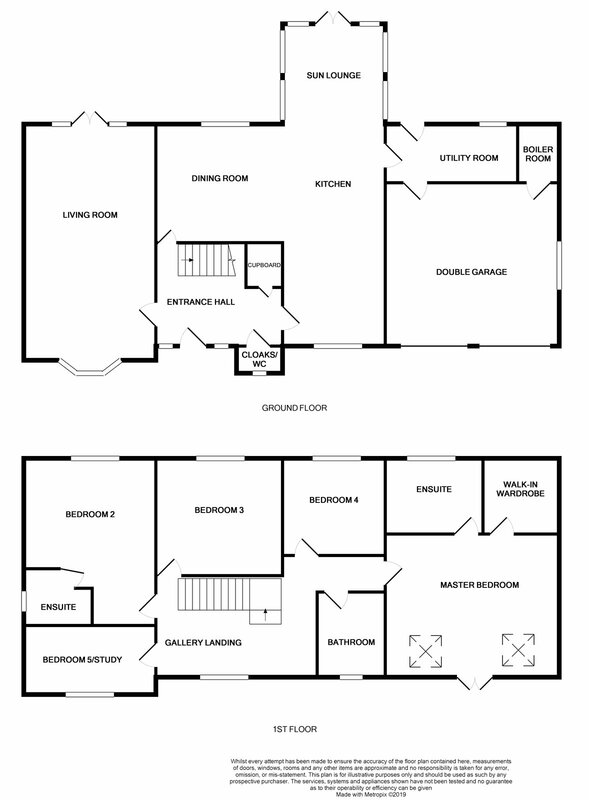 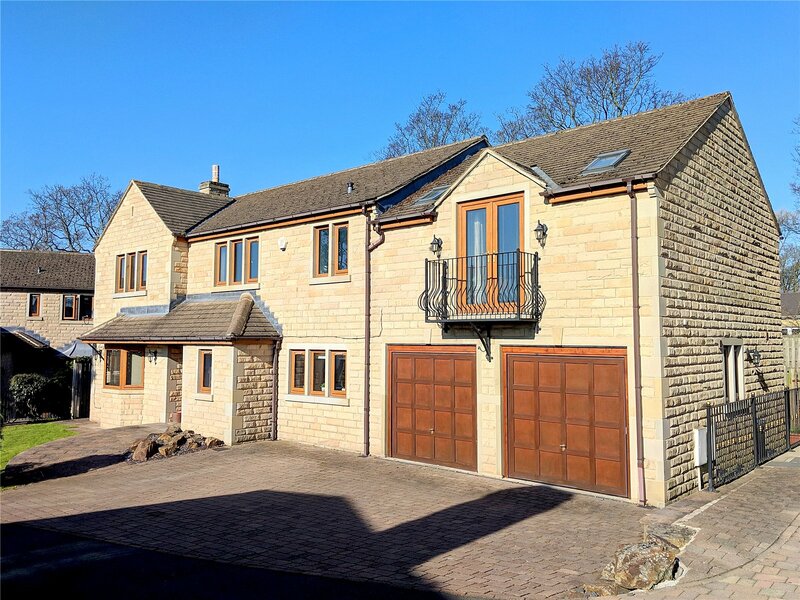 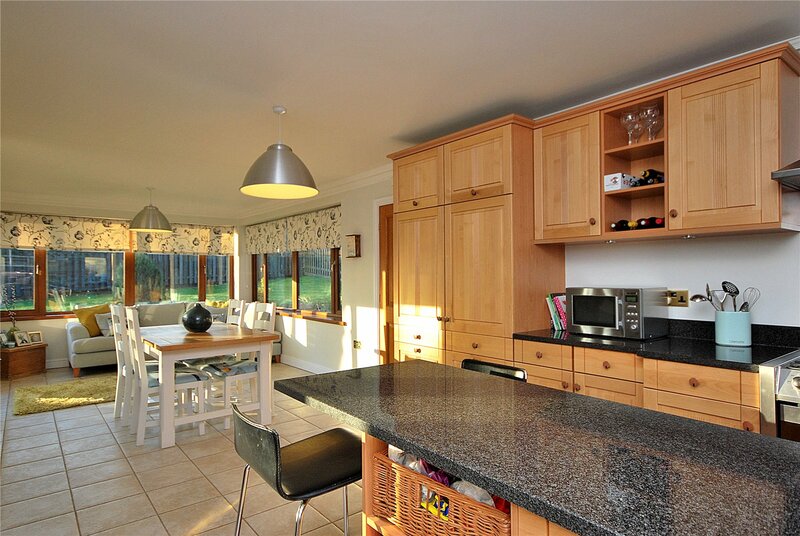 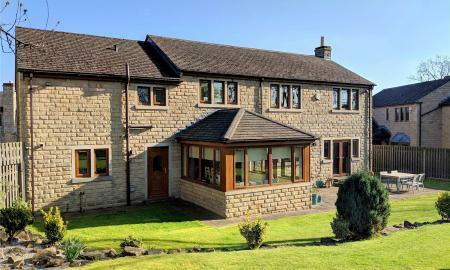 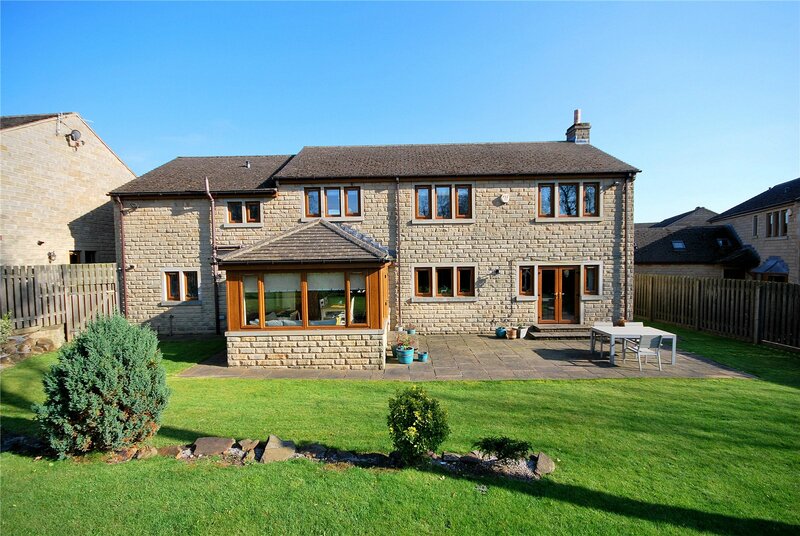 10.7m x 7.5m (35'0" x 24'6") A substantial and thoroughly modern open plan layout providing a considerable amount of space for family life and entertaining. 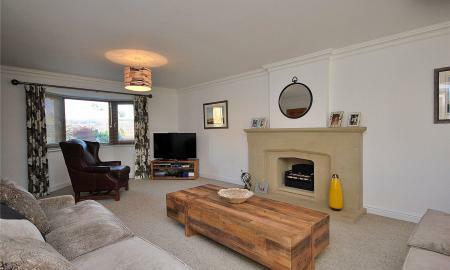 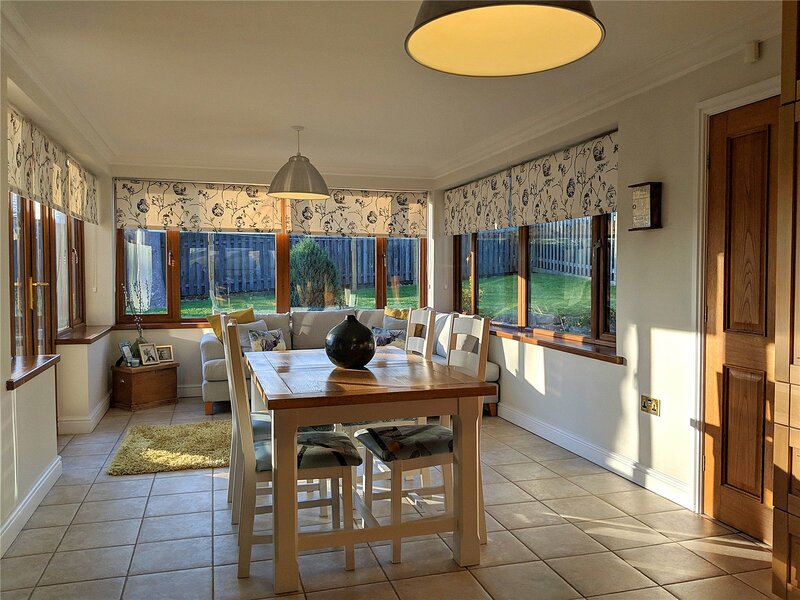 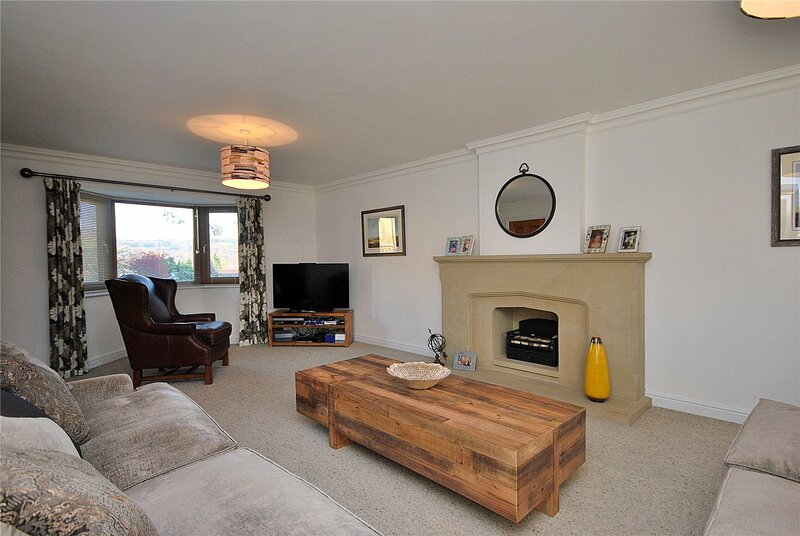 Open to the kitchen, fully double glazed to 3 walls with French doors to the garden, a fantastic relaxing and naturally bright space merging the outside and inner living space. 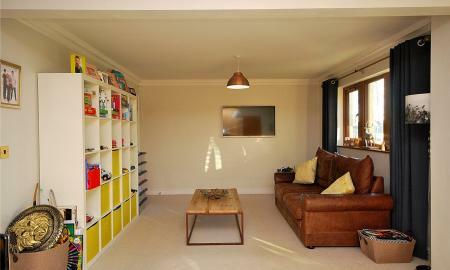 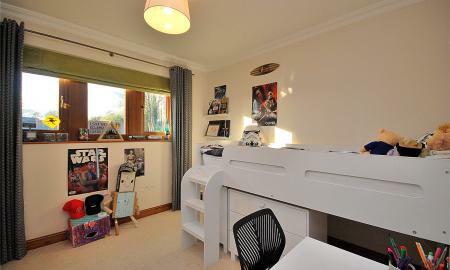 Originally a separate room, the current owners have opened up the space creating a more contemporary and up to date space. 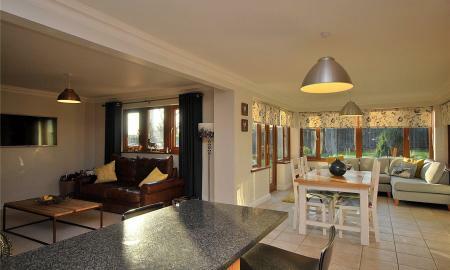 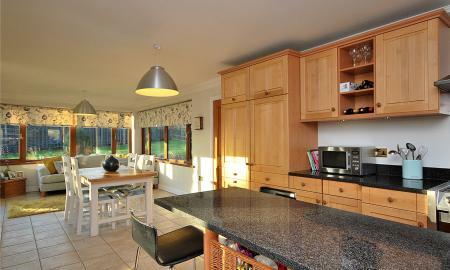 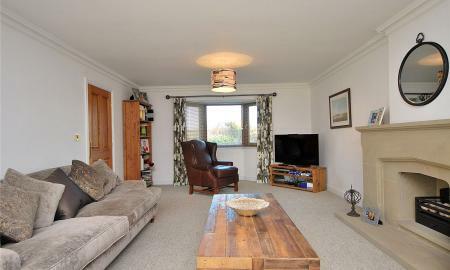 With rear facing double glazed window and amole space for dining furniture. 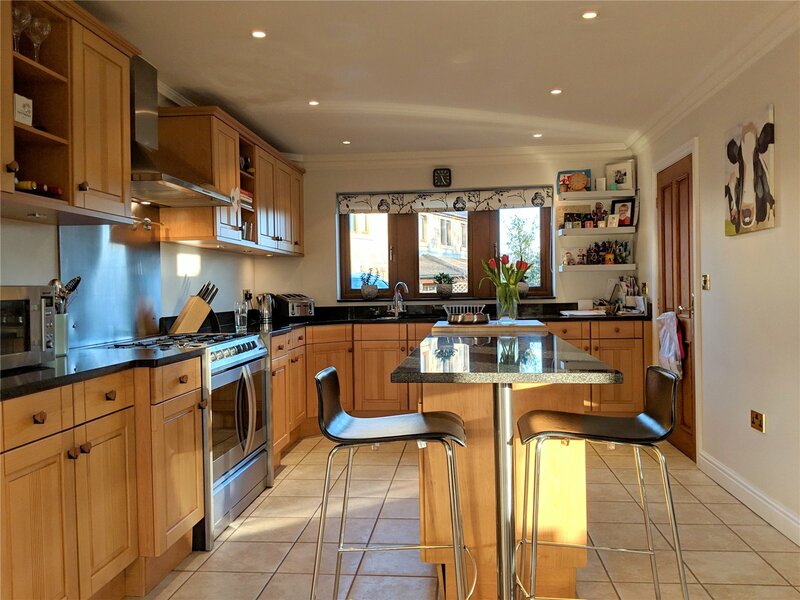 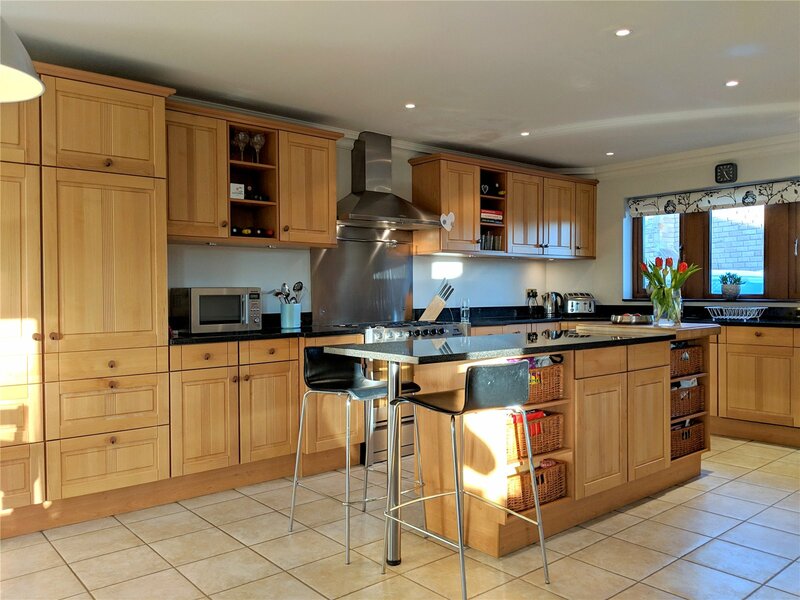 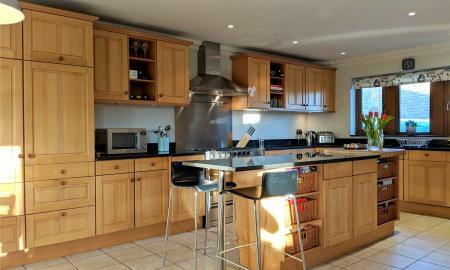 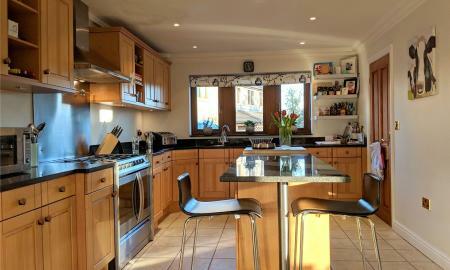 Essential in a large property, with rear facing double glazed window, door to garden, extractor fan, fitted with a range of base cupboards, drawers, contrasting worktops and inset one and half bowl single drainer stainless steel sink with mixer tap. 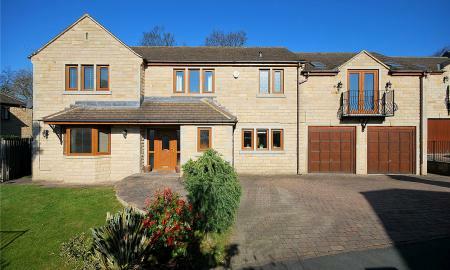 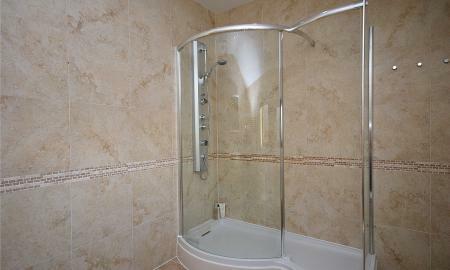 With plumbing for automatic washing machine and courtesy door leading through into the garage. 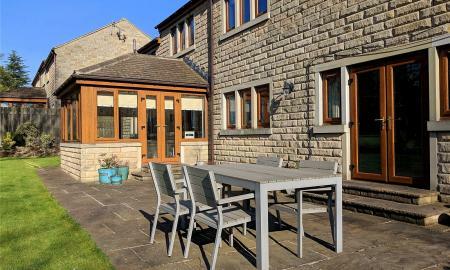 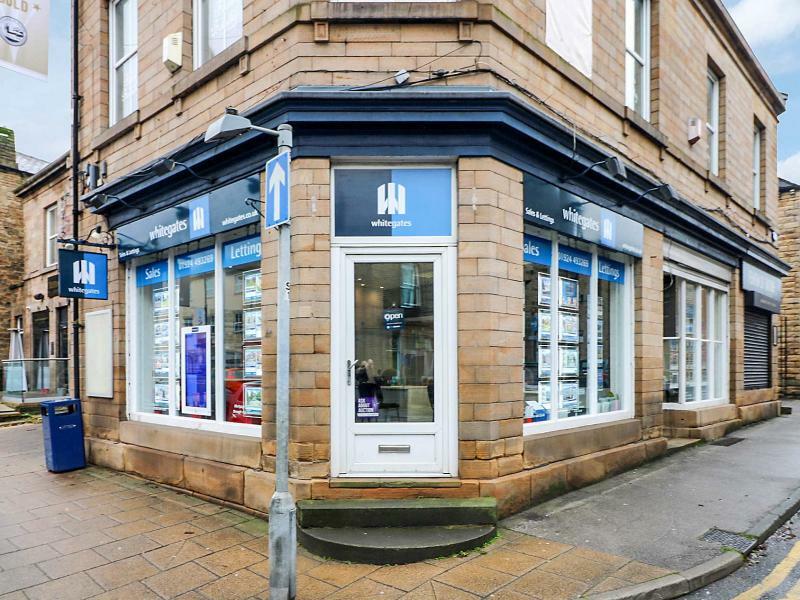 Due to the large footprint of the property the available space has been utilised to create a good size gallery landing giving access to the first floor rooms, a double glazed mullioned window takes advantage of some pleasant far reaching views. 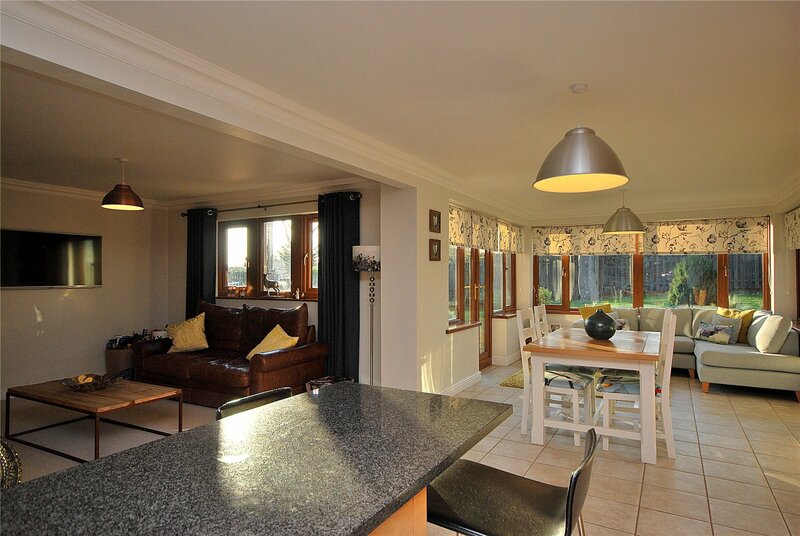 5.5m x 4.6m (18'1" x 15'2") With two double glazed skylights and French doors opening to a Juliette balcony. 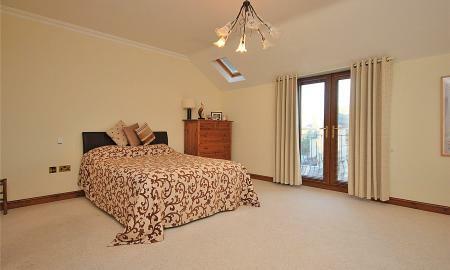 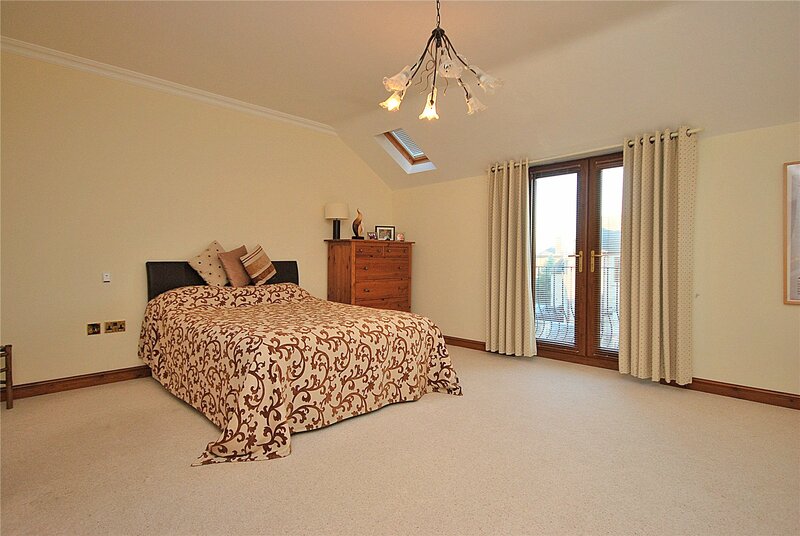 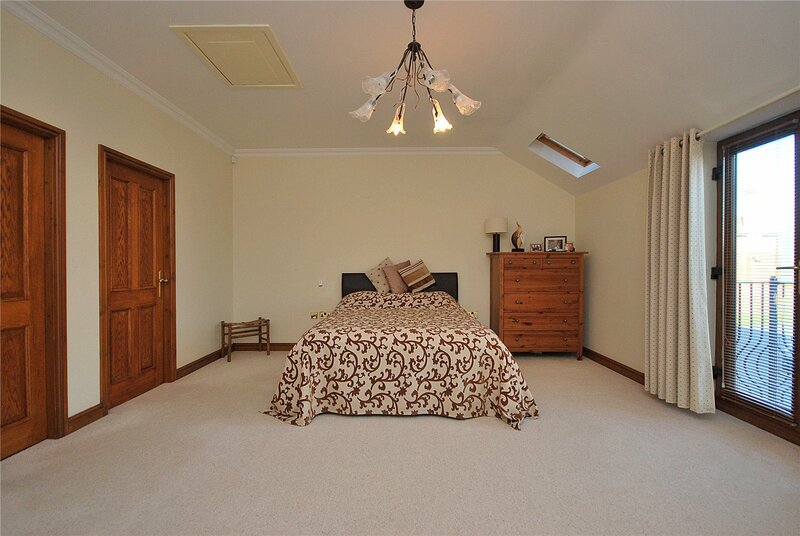 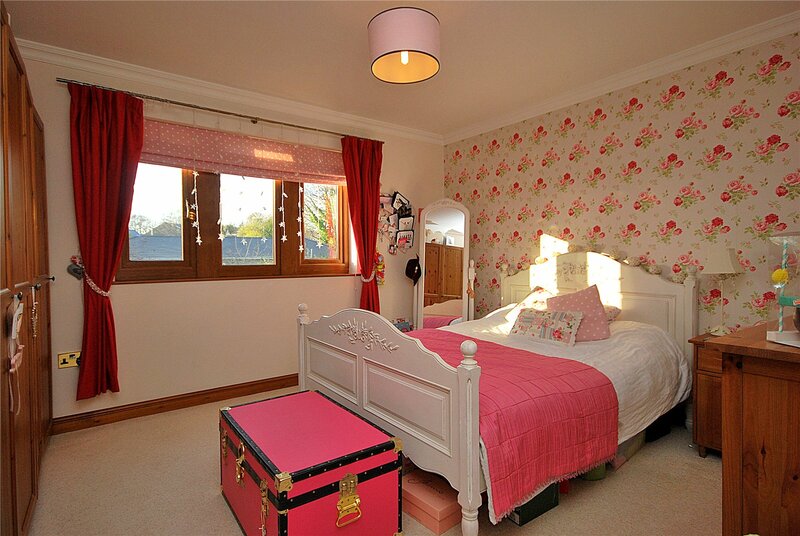 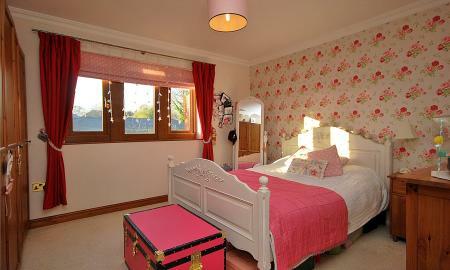 A capacious master bedroom in keeping with this impressive property. 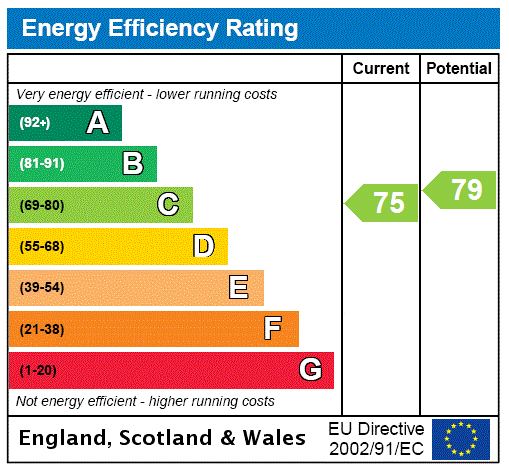 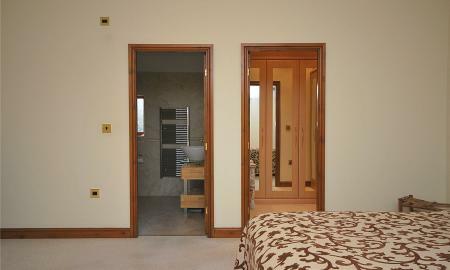 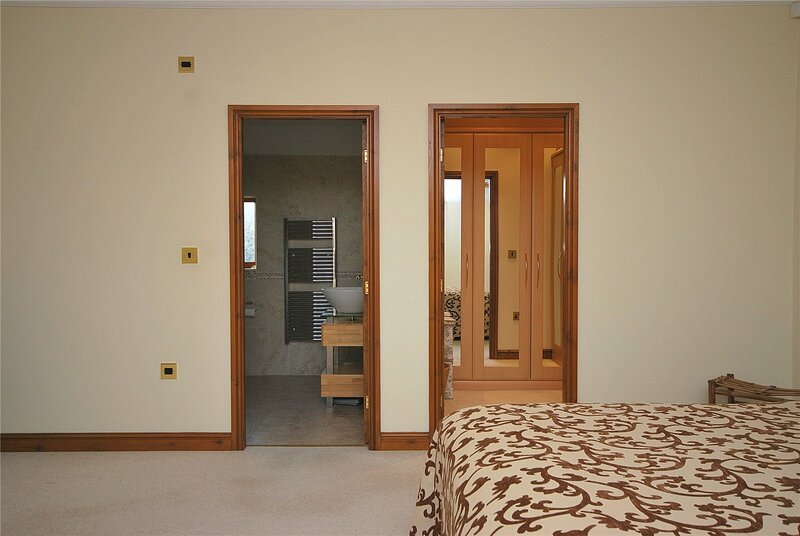 1.6m x 1.6m (5'3" x 5'3") Fully fitted wardrobes, power and light. 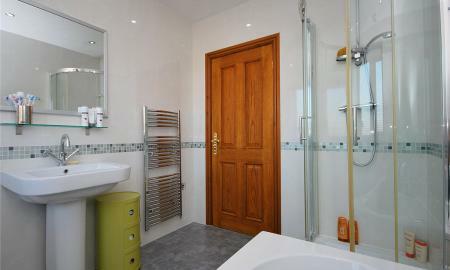 2.6m x 1.4m (8'6" x 4'7") With rear facing double glazed window, heated towel rail, vanity wash basin, low flush wc large shower enclosure, fully tiled. 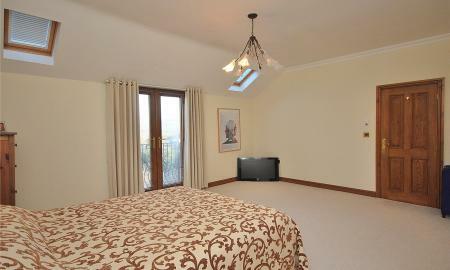 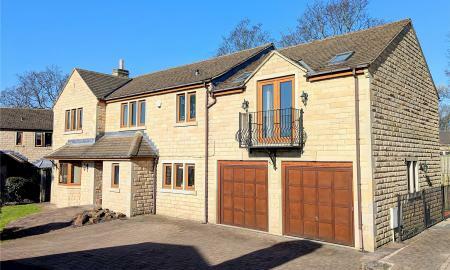 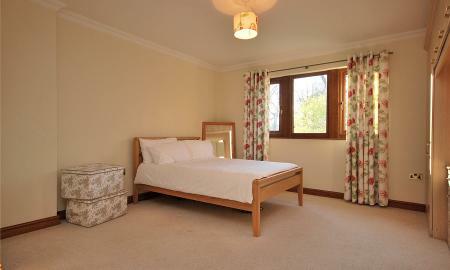 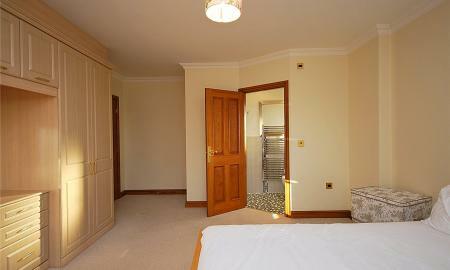 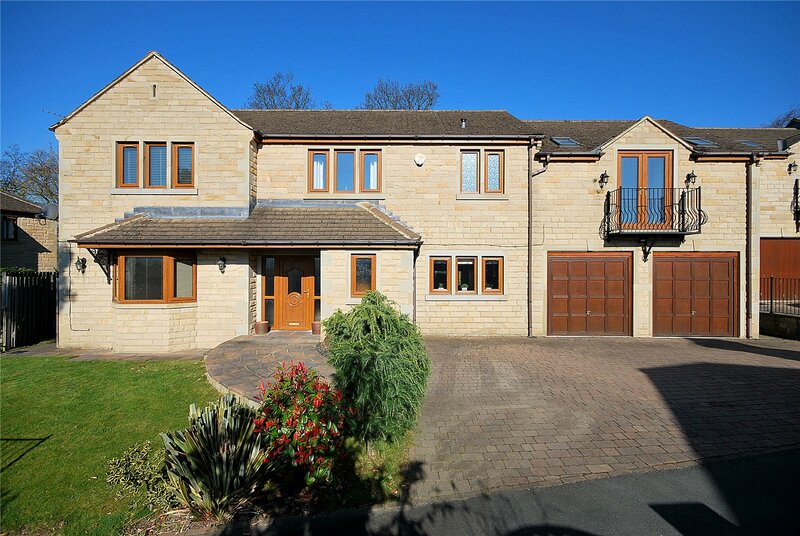 5.4m x 4.2m (17'7" x 13'8") Another very large bedroom, with rear facing double glazed window and fitted wardrobes. 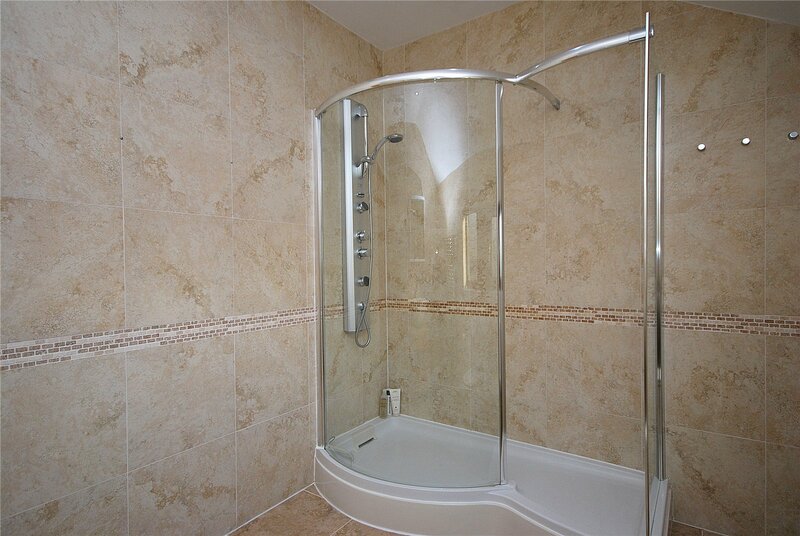 Shower enclosure, heated towel rail, vanity unit with wash basin and low flush wc, side facing double glazed window. 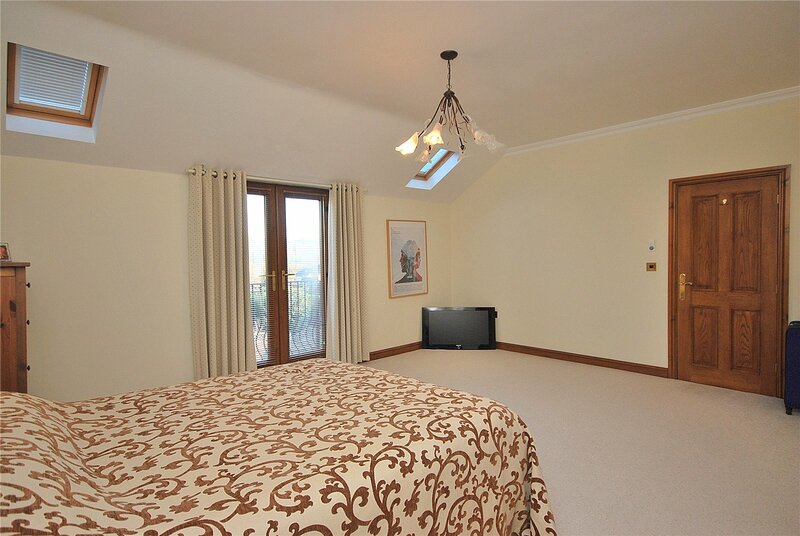 4.1m x 3.8m (13'5" x 12'4") Double glazed window overlooking the rear garden. 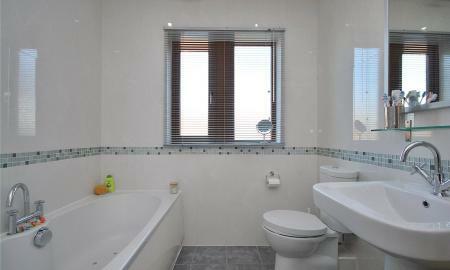 3.2m x 3.1m (10'8" x 10'2") Double glazed rear facing window. 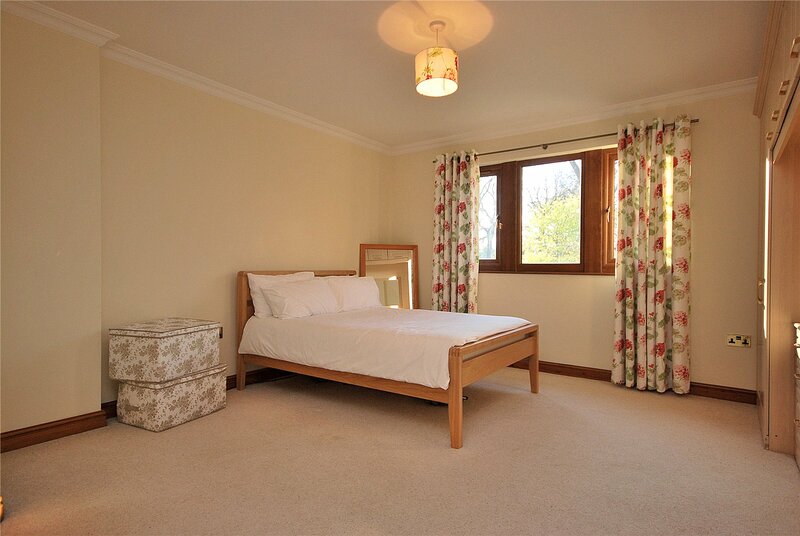 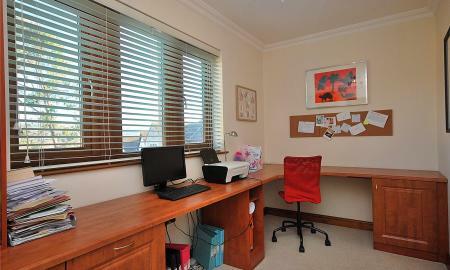 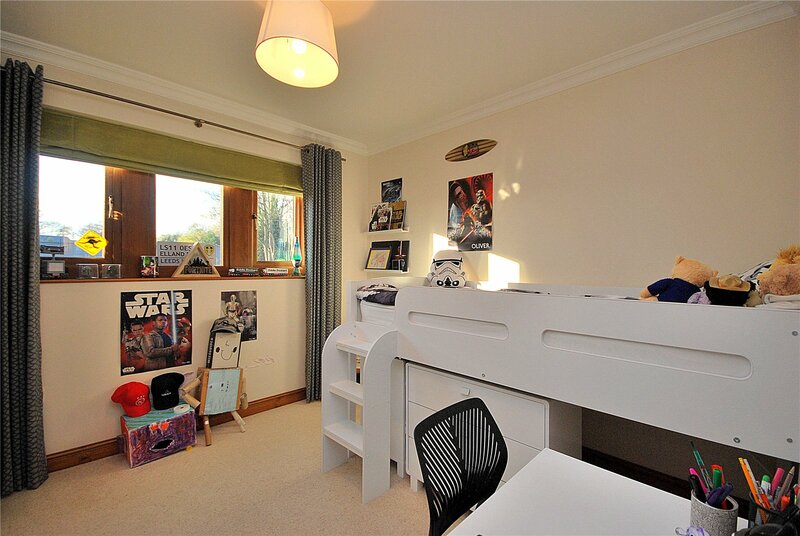 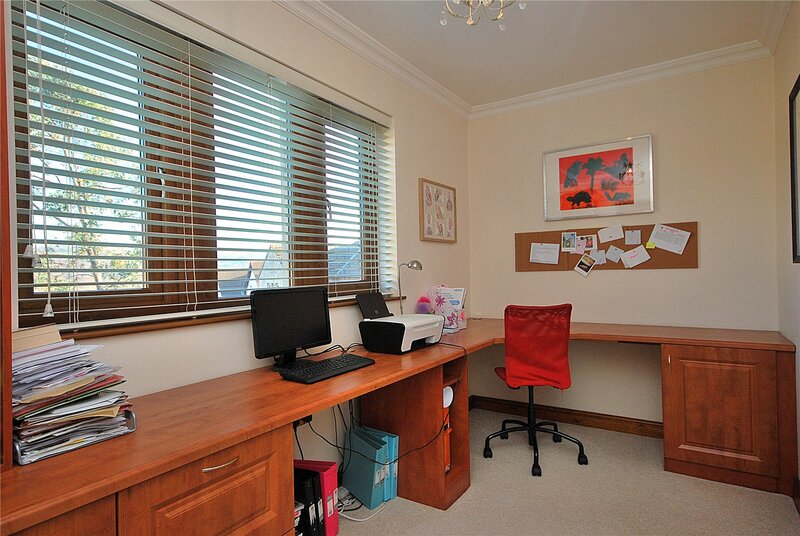 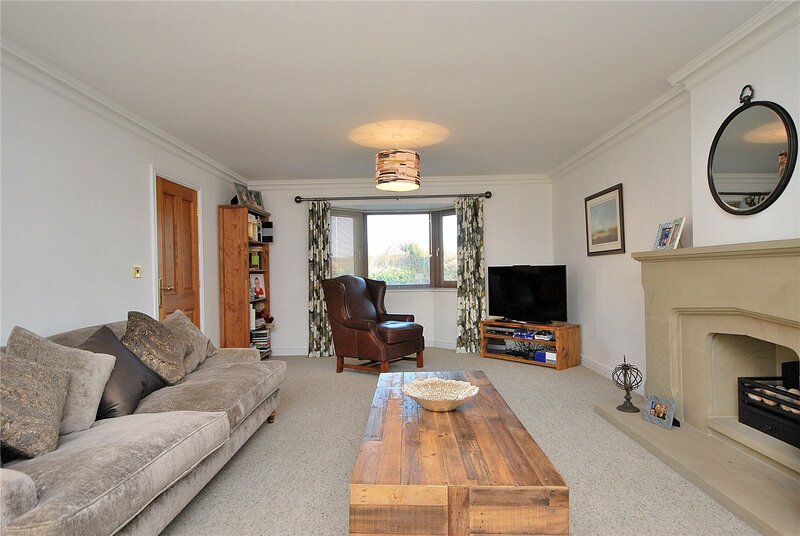 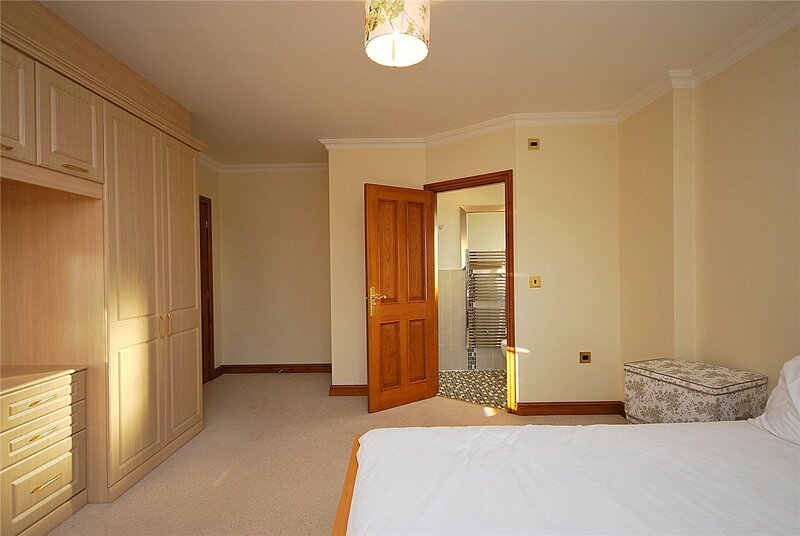 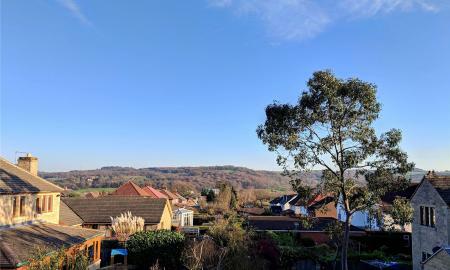 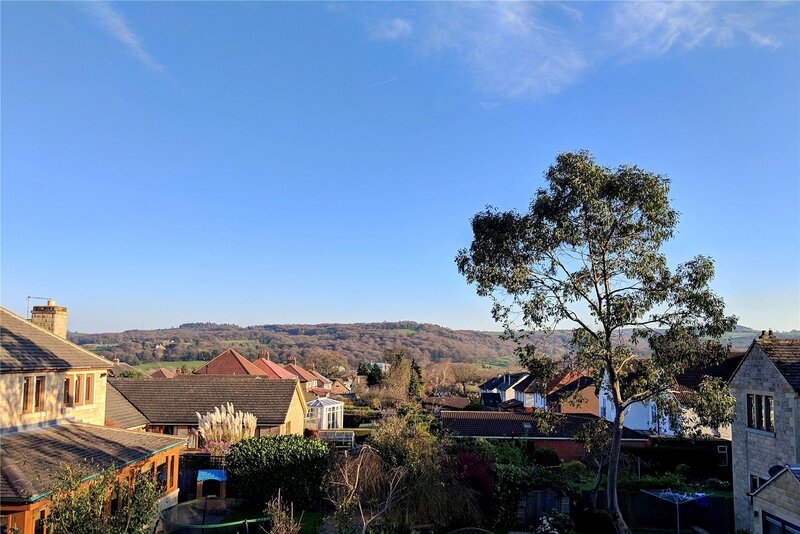 4.2m x 2.0m (13'9" x 6'7") A good size 5th bedroom utilised by the current owners as a large study, with a full range of work units and a lovely view out to the front of the property via the double glazed window. 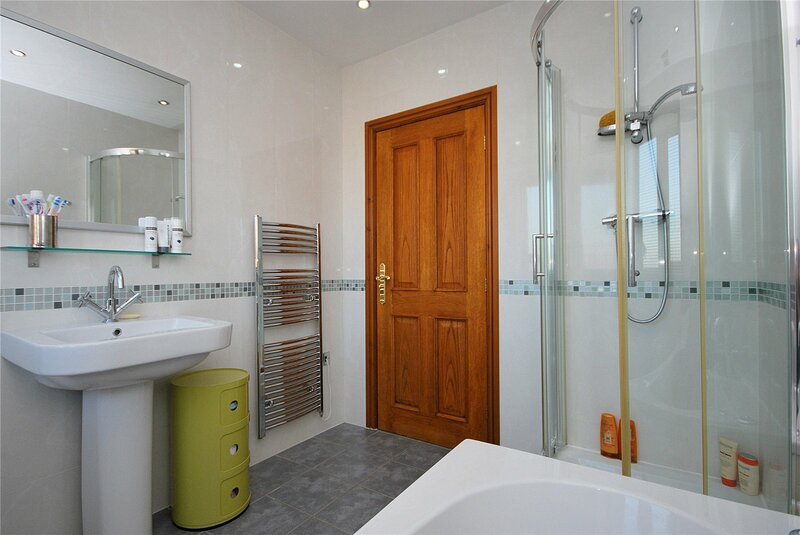 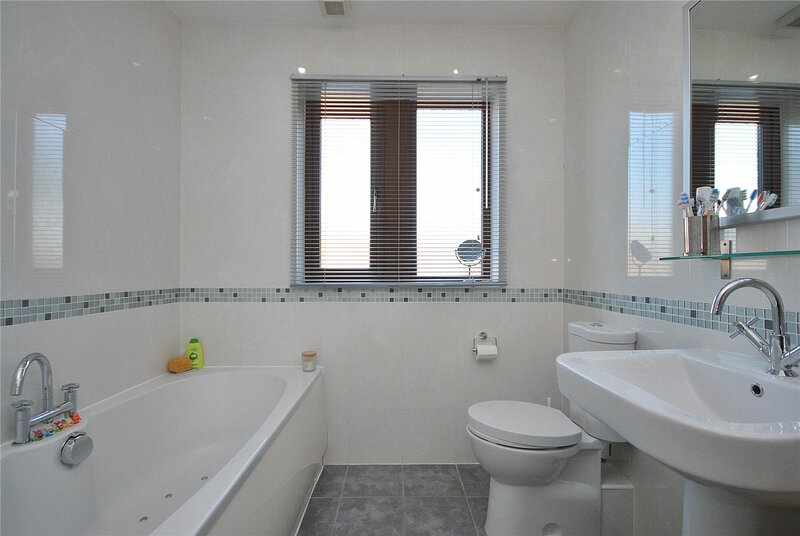 Fully tiled house bathroom incorporating four piece suite comprising Jacuzzi bath with central taps, shower cubicle, low flush toilet and wash hand basin. 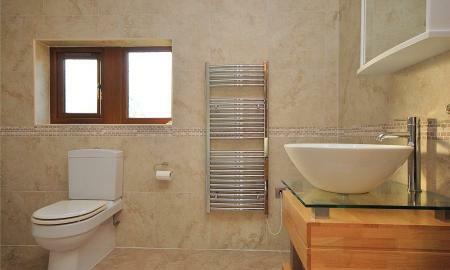 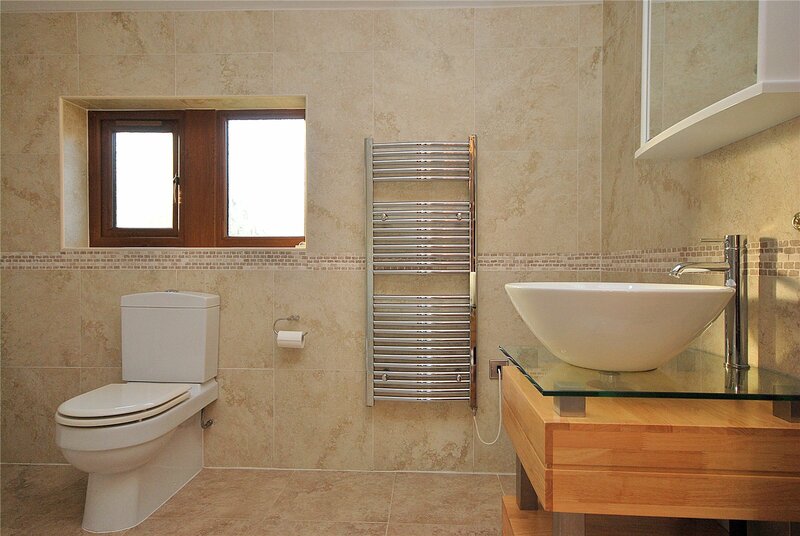 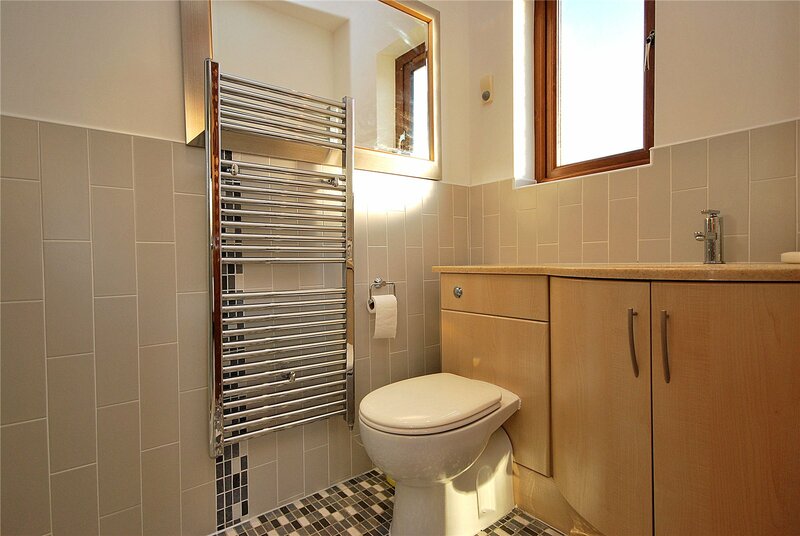 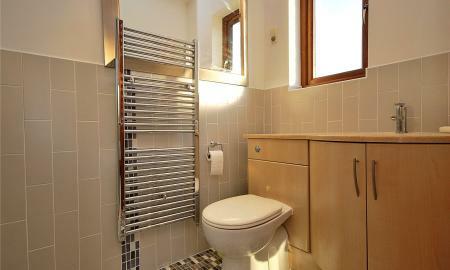 Tiled flooring, double glazed window and heated towel rail. 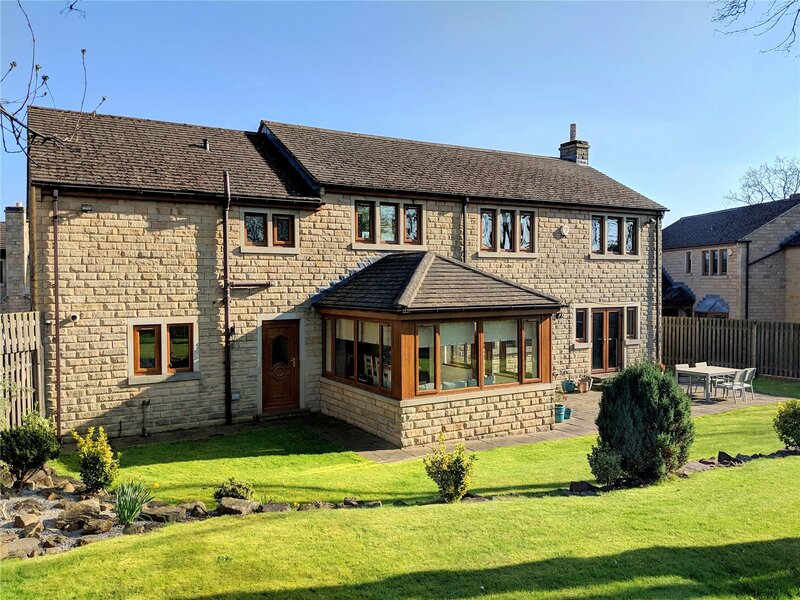 Natural stone in construction with gardens front and rear. 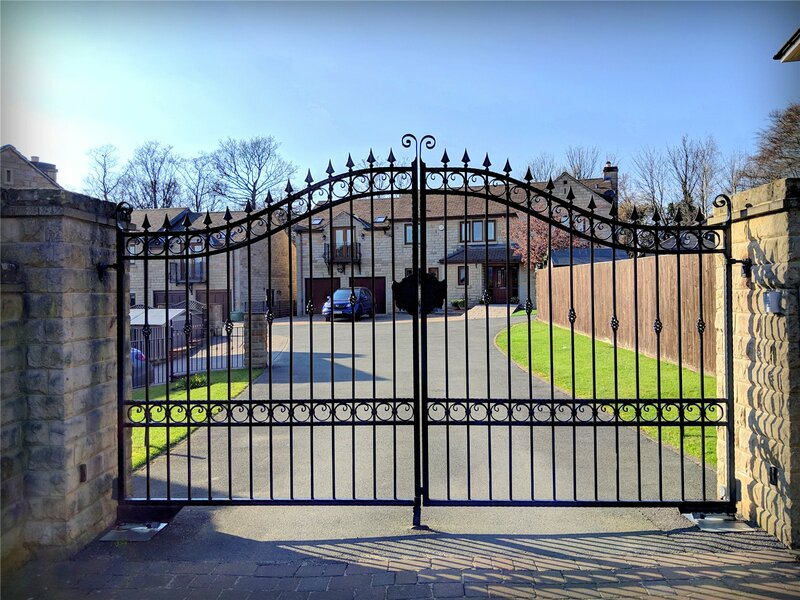 Private secure intercom entrance with wrought iron gates and tarmac driveway leading to block paved frontage to double garage. 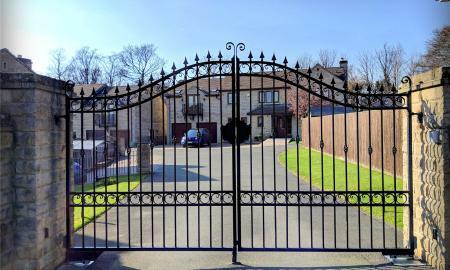 Exterior lantern lighting and security lights. 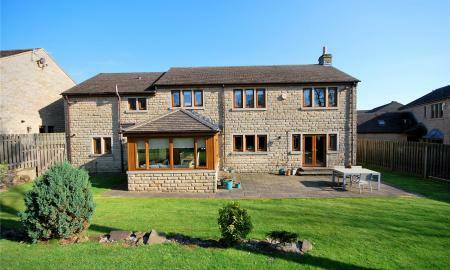 To the front a grass lawn and front rockery/shrubbery. 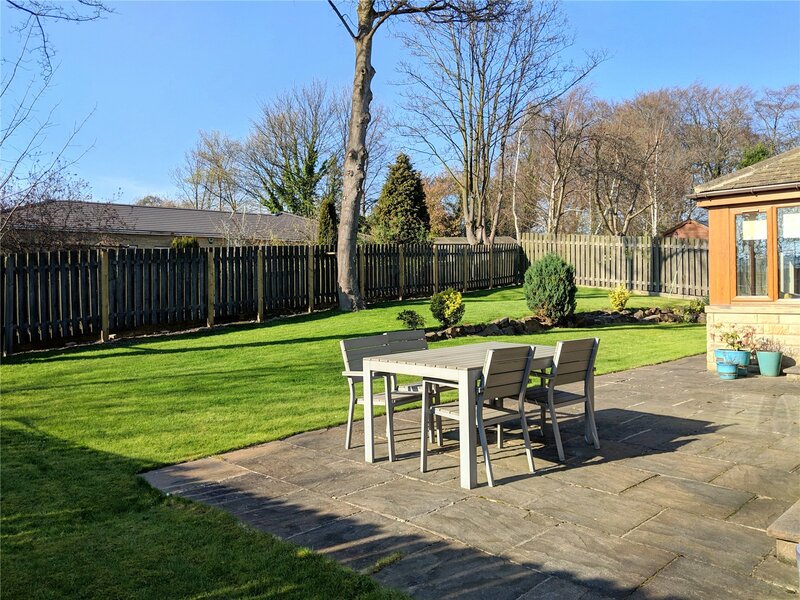 A flagged pathway leads down the side of the property to a private rear garden, enhanced by natural stone flagged patio, central stone/plant divide, surrounding fencing, plants and shrubs. 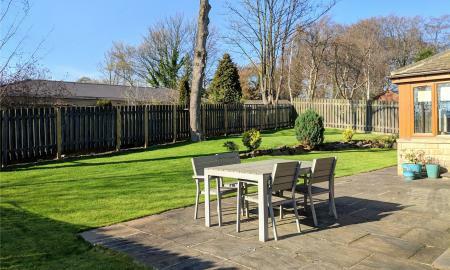 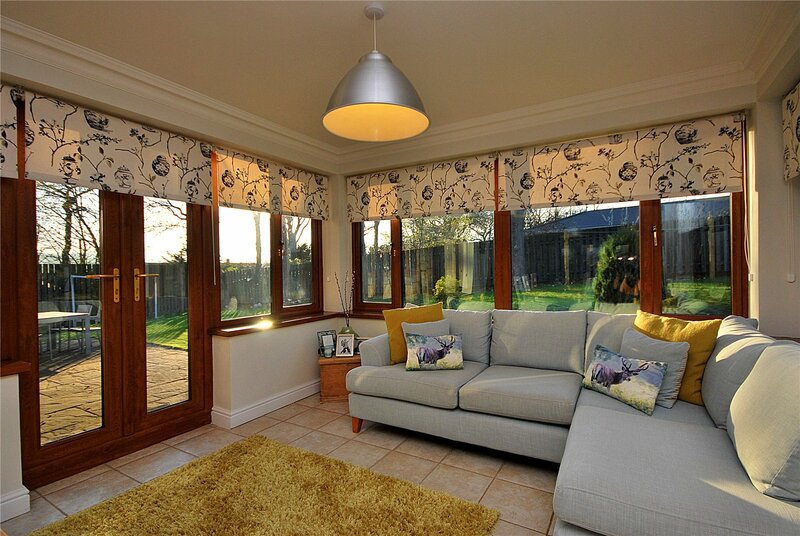 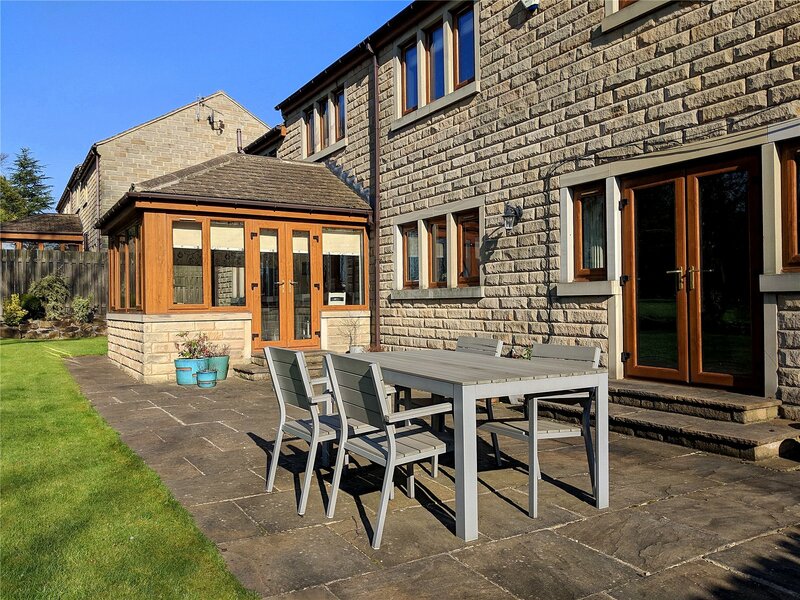 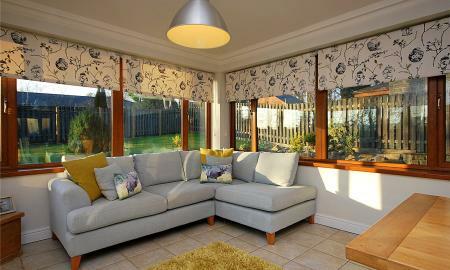 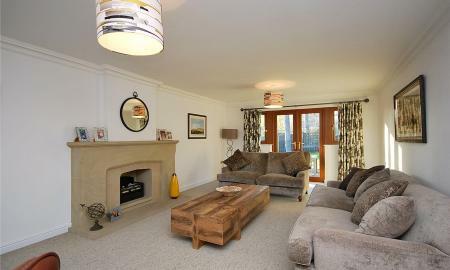 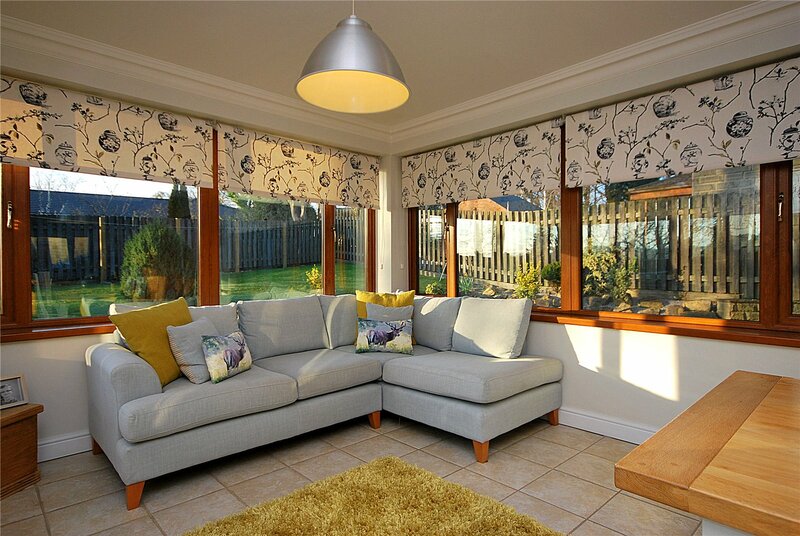 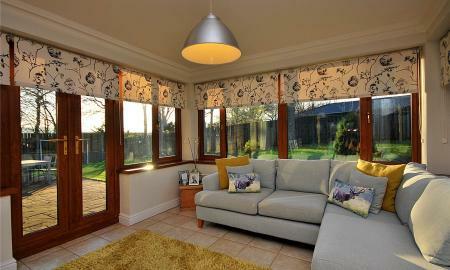 A private and enclosed garden which enjoys the sun through most of the day, ideal for relaxing and entertaining.